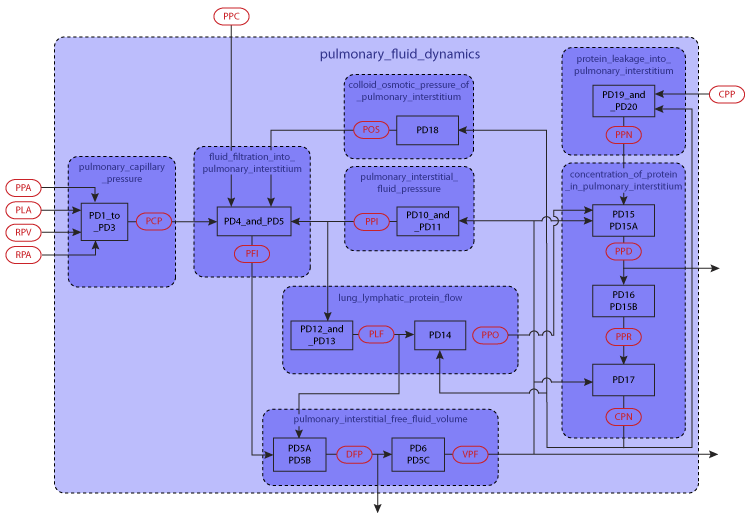 This particular CellML model describes a highly simplified analysis of pulmonary fluid dynamics. In general, the gel portion of the pulmonary fluid is ignored, so that the pulmonary fluid volume (VPF) is in reality an approximation of the amount of fluid that is relatively freely mobile. Though this fluid is called "interstitial fluid," it includes fluid in the respiratory passages. Likewise, the pressure-volume curve of the pulmonary interstitium is highly simplified, as well as the control of lymph flow. 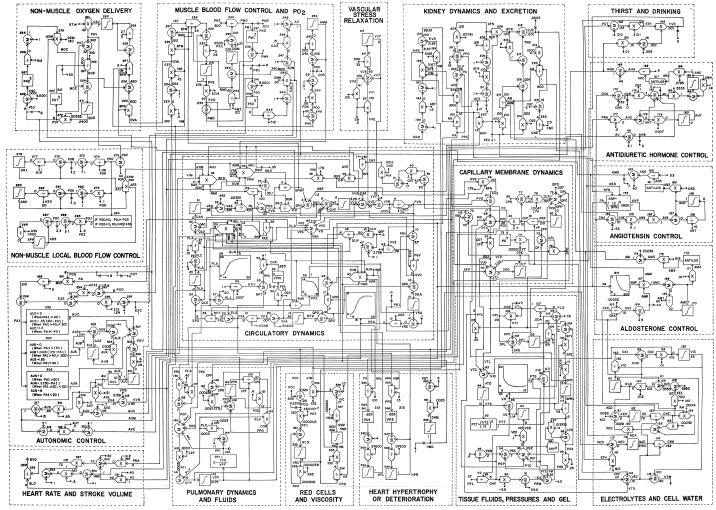 Nevertheless, for many purposes, this simplified analysis serves quite well. Derived from workspace Guyton, Pulmonary, Fluid, Dynamics, 2008 at changeset 9a80f68269c8.